One cannot know the vampires of the Sabbat. Tehy are the darkest of the dark, the vampires other vampires fear. Whether they are rabid packs of silent assassins, all undead quake at the thought of their dark ways. But there is more to this deadly sect than its followers' atrocities. Its secrets go deep, deep into the ninght. Its intrigues and feuds are as real tonight as they were centuries ago. 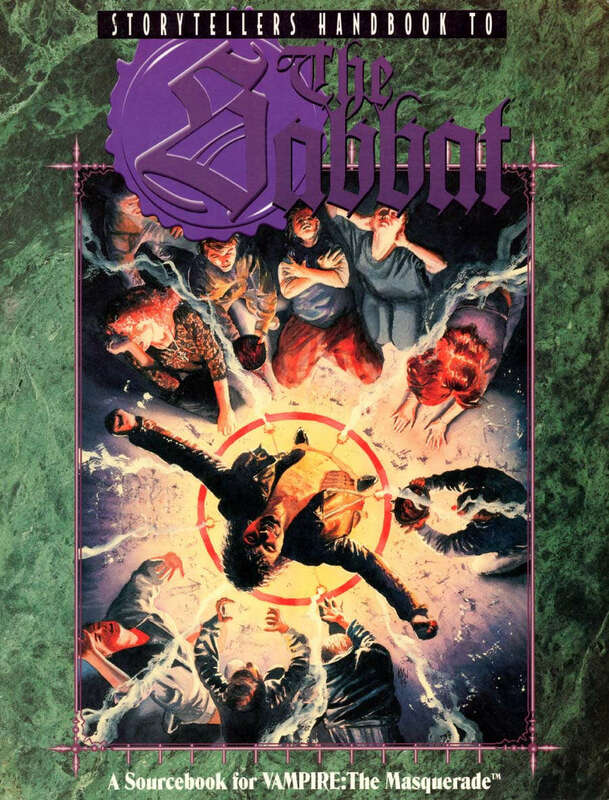 Surviving against the Sabbat vampires is almost impossible. Surviving as one of them is even harder. an in-depth look at the Infernal powers corrupting the sect, including a detailed description of the Dreaded Path of Evil Revelations. Also featuring the return of Samuel Haight fronm Werewolf: The Apocalypse's Valkenburg Foundation!